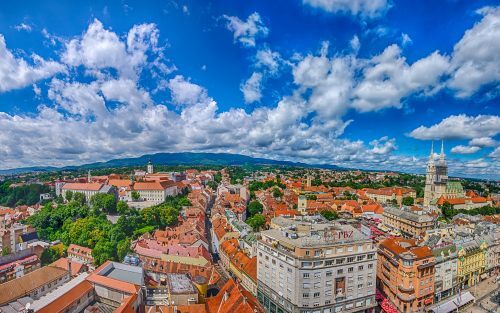 British Airways and Croatia Airlines are showing flights from Seattle to Zagreb, Croatia for $459 CAD roundtrip. Note that this is the Basic Economy price, which includes carry-on luggage only, and you cannot select your seat in advance. A checked bag is an extra $150 roundtrip. There are a few dates over Easter (Apr 21) available. Update Friday Nov 2 - These are gone. You can find many more date combinations that will work. Try your own dates in January, February, March, or April 2019 to see what comes up. IMPORTANT: The prices are in $USD. You should see flights for $347 USD roundtrip, which works out to $459 CAD roundtrip when booked with a Canadian credit card, including the typical 2.5% credit card foreign exchange fee. Ideally, on the late March, April, and early May dates, you can find flights with 1 stop each way, with somewhere around 13 to 18 hours of travel time. On dates in January, February, and the first half of March, the fastest flights have 1 stop on the way there, and 2 stops on the way home. flight deals, eastern europe, seattle, sea, europe, central europe, southern europe, southeastern europe, zagreb, croatia, zag, balkans, british airways and croatian airlines.